I was grain-free for a long time (and generally still am) while healing my Hashimoto’s, but my husband is Italian so I had to find a way to still have pasta. This creamy homemade alfredo sauce recipe makes any type of pasta delicious, including zoodles (zucchini noodles). Even though alfredo sauce is typically thought of as unhealthy (all that butter and cheese), this version gets it creaminess not from heavy cream but from a secret ingredient… cottage cheese! 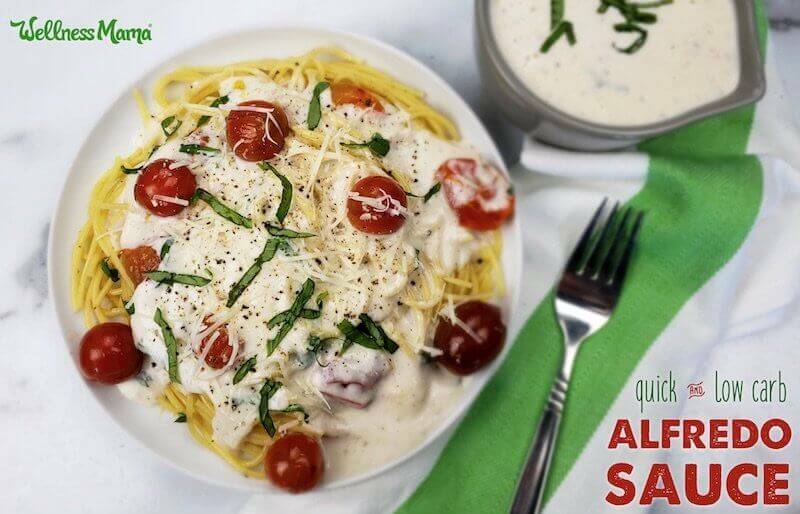 Can Alfredo Sauce Be Healthy? 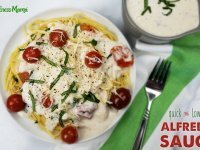 I decded to try making this alfredo sauce recipe after cottage cheese came back into my life thanks to this brand of grass-fed, organic cottage cheese that is now in my grocery store. (If you’re not intolerant, dairy can be healthy when done right… here’s what I mean by that). 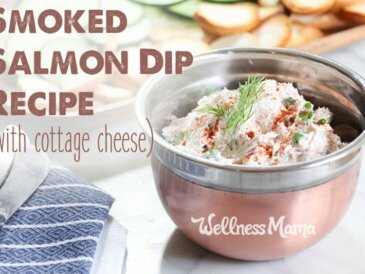 Cottage cheese works as a low-carb, high-protein ingredient in other recipes too, like in this Smoked Salmon Dip or these Cottage Cheese Crepes. 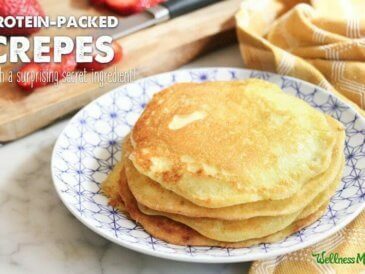 Not only does this homemade version skip the cheap fillers and harmful additives, it’s ten times more delicious! This recipe isn’t like most alfredo recipes out there. 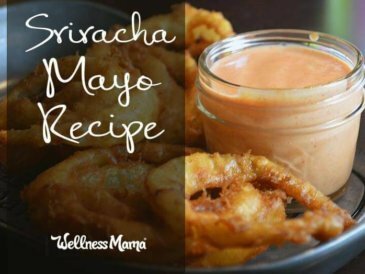 To keep things easy, I make this sauce right in the blender. Instead of a roux made with butter and flour to thicken the sauce, I take cottage cheese and blend it with almond milk and a little fresh Parmesan cheese. Add basil, garlic powder, salt, and pepper for flavor, and blend until smooth and creamy. Heat, pour over pasta of choice, and that’s it! 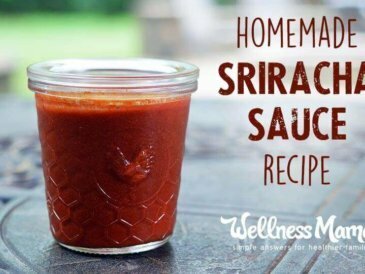 If you’d like a grain-free or gluten-free pasta option, I love this sauce over zucchini noodles. All you need is a simple spiralizer (or if you prefer power tools in the kitchen, a spiralizing attachment for your standmixer). Put the zucchini in the spiralizer, turn, and you have noodles in less time than it takes to boil water. Full instructions here. This is a great way to get more veggies in your diet especially when zucchini is in season. You can use a quality gluten-free rice pasta if you tolerate grains well. We use this one because they test their rice for arsenic levels. This simple and fast alfredo sauce is higher protein than regular alfredo and only takes minutes to make. Whip up a quick batch to top some veggies or chicken or gluten-free pasta. Pour the mixture into a saucepan and slowly heat on the stove until it simmers. Cook and stir until warm and slightly thickened. 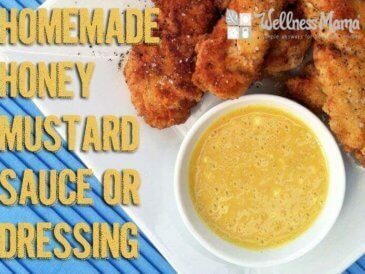 Add cooked pasta, chicken, or veggies and fold into sauce just before serving. 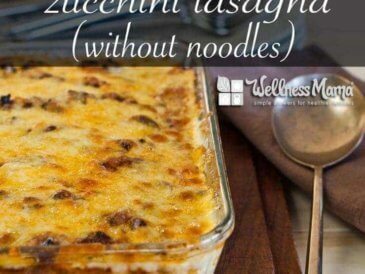 Top with additional parmesan if desired, and enjoy! To make a thicker sauce, reserve some of the milk and add in a tablespoon at a time until the perfect consistency. Have you ever made a “healthier” alfredo sauce? What do you use? Please share!